Being the world’s leading CRM software provider, Salesforce offers a host of cloud-based products that enable business users to make informed decisions. Salesforce Wave Analytics, also referred as Analytics Cloud is one of their most popular products. It is a cloud-based data analytics platform designed to provide powerful data insights for improved decision-making. Wave Analytics is not just restricted to native Salesforce sales, service and marketing data, but can be utilized for analyzing external data or legacy data imported into analytics cloud. Users can design and analyze data within Salesforce or import data from external sources dynamically to explore information and derive decision-making intelligence. The interactive design and visualization capabilities of Wave Analytics enable business users to enhance business intelligence capabilities by accessing a variety of charts and graphs. Moreover, the product is designed to work seamlessly with existing Salesforce cloud implementations – either native or custom apps and can be customized to meet the unique business needs of each enterprise. Here are some predominant features of Salesforce Wave Analytics. By using the data connectivity feature of Wave Analytics users can connect third party application data to Salesforce database. Additionally, ETL (extract, transform and load) tools such as Informatica, Jitterbit, Snaplogic, Boomi, Mulesoft etc., can be used with Wave Analytics to extract third party data, including CSV files, desktop data and data from legacy systems. Comprehensive data analysis is possible only when users are able to perform a holistic search on entire data that is available. The Wave Analytics platform is built with options that include powerful database search, with an intuitive user interface and great search functionality. All features available in the Salesforce Wave Analytics web platform can also be accessed from a mobile device, thus making it easy to interact, share data visualizations and connect with team members on the go. Wave Analytics is highly optimized for all smart phones, tablets and mobile devices. The Wave Analytics platform can perform the following actions, measure, filter, group, view and share. Wave Analytics is the only platform, where business users can easily navigate all datasets using their mobile devices. Further, business users can easily mashup multiple datasets to create a multidimensional analytics picture. A NoSQL based database means there are no predefined structures, schemas or cubes. Using this feature, business users can import third party data into their Salesforce databases with ease. Further, Salesforce Wave Analytics is based on key-value-store, NoSQL database. With a provision to show data from different organizations (sales, marketing and services) in a single view, Wave Analytics empowers business users to make informed decisions without switching or referring multiple applications. Wave Analytics provides interesting visualization options and colorful dashboards to users, which allow them to quickly discover insights for analysis and decision-making. Why should an enterprise adopt Salesforce Wave Analytics, when Salesforce classic already provides reports and dashboards feature? Wave Analytics is a highly advanced version and offers exciting features, here’s a comparative analysis between these two products. To commence using Salesforce Wave Analytics, a wave platform license is required. Wave Analytics – Wave analytics Platform allows 100 million rows. Sales Wave and Service Wave Apps 25 million rows, when used without Analytics Cloud – Wave Analytics platform license. Important to realize, usage of Sales Wave and Service Wave app license does not increase the data limit of platform license. Wave Analytics is a hugely popular product from Salesforce, and it is already creating ripples in the global enterprise market. The team at Salesforce has carefully crafted a unique product keeping in view the needs of business users. Moreover, the ability to extract third-party data and easily integrate with other tools gives Wave Analytics an edge, when compared to other products. Further, its mobile-enabled features help on-field executives to be on top of all updates. Evoke Technologies provides end-to-end Salesforce Solutions to global enterprises. We understand that implementing Salesforce Wave Analytics can be challenging process, if not planned correctly. With our proven experience in the Salesforce Wave Analytics implementation and configuration, we enable businesses to realize the true potential of Salesforce. We chalk out a clear strategy and provide expert guidance for Wave Analytics implementation. Our experienced Salesforce consultants simplify the implementation process even for some of the most complex deployments. Further, with our proven expertise in implementing and configuring Wave Analytics, we enable businesses to leverage data to uncover actionable insights. To learn more about our Salesforce solutions, contact us via our website or call us at +1 (937) 202-4161 (select Option 2 for Sales). Srikanth Manne is a Technical Associate at Evoke Technologies. 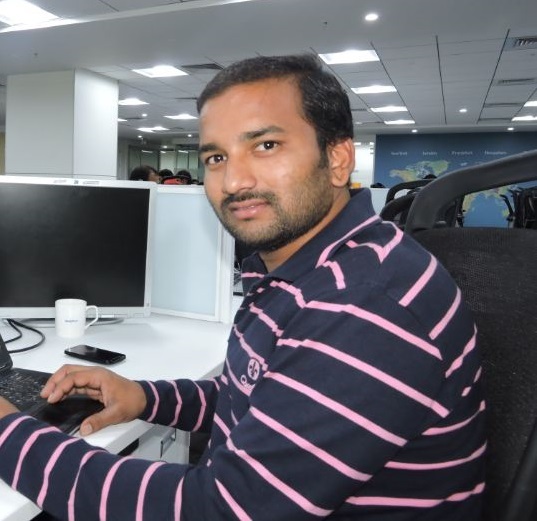 With more than 3+ years of experience in implementing Salesforce solutions across verticals, Srikanth has gained strong expertise on multiple Salesforce products. He is a Salesforce enthusiast and keen to expand his knowledge on emerging cloud technologies.